Underlying the recurrent cutaneous lesions caused by herpes simplex virus (HSV) is a sophisticated virus-host relationship involving primary sensory neurons. These cells may become productively infected, but sometimes virus replication is interrupted for long periods, producing a reservoir of latent herpes in the nervous system from which infection can periodically reactivate. How the balance is tipped in favor of either productive or latent infection and how productive infection of neurons is rapidly controlled (which, in general, it is) are prominent contemporary questions for herpes virologists. 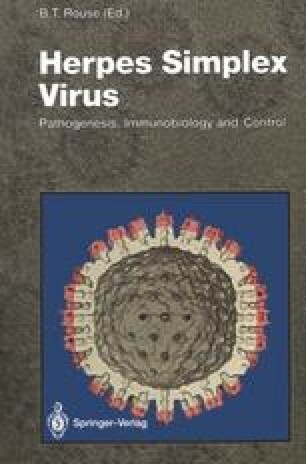 In this chapter, we critically review the clinical and experimental evidence suggesting that the host’s adaptive immune response makes a vital contribution to the control of established HSV replication in the nervous system, and we dwell on the controversial issue of the fate of productively infected neurons.